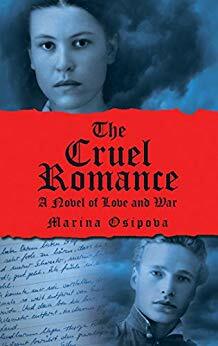 Today, I’m delighted to bring you an interview with award-winning historical fiction author Marina Osipova, whose first novel,The Cruel Romance, I read last year and loved. With its elegant writing, deeply evocative setting in wartime Russia, richly-drawn characters and tragic yet affirming story, it is an accomplished and memorable work. 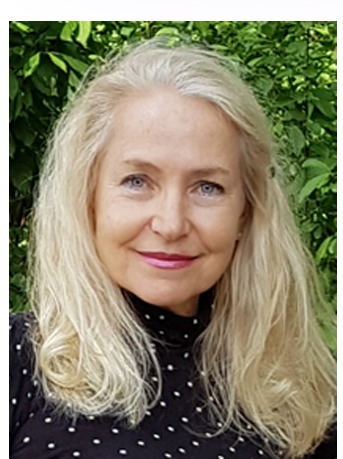 Marina has just released her second novel, How Dare the Birds Sing, and to celebrate I asked her a few questions about the book and her writing in general. First of all, Marina, congratulations on the publication of How Dare the Birds Sing! It looks fantastic–I’ve just bought a copy and can’t wait to read it. Can you tell us about the novel and what inspired it? Thank you, Sophie, for buying my book and for your readiness to allocate time in your extremely tight schedule to read it. I hope you’ll find the story interesting. What inspired me? A difficult question for me to answer. It just happened. I was not yet done with The Cruel Romance when the story of Lyuba started germinating in my mind, or more accurately, in my heart. Unfortunately (you have to see me smile), it happens again and again. How Dare the Birds Sing was not published yet and already three other stories began pressuring me. What was the road to publication like for this book? And how have readers responded to it so far? The road to publication was not easy. First, and it was a month of thrilled anticipation, two editors from the Big Five requested The Cruel Romance and the ms of How Dare the Birds Sing for consideration. It was not out of the blue: one of my friends, an amazing author, recommended my work to them. Though they praised my writing and the stories . . . you can anticipate what their verdict was. Then, a small press publishing company from the UK expressed interest in How Dare the Birds Sing, but we did not agree on the terms. After spending tons of time researching possible publishers for my book, I chose Draft2Digital. Unfortunately, they help with e-publishing only. So, the process is not over for me. Despite that, I’m glad I decided to self-publish, which offers me more flexibility throughout the process. I like having control over all aspects of my career. Your earlier novel, the wonderful, bold, memorable and tragic novel, The Cruel Romance, is also set in wartime and about the dreadful effects of war and occupation on people’s lives and potential–in all kinds of ways, including the possibility–or impossibility–of love in such circumstances. What draws you to tell these stories? I hear this question time and again. It is known that wars are the most dramatic time in the history of humankind and WWII was the most brutal of them, full of universal and single-person drama. That’s what readers expect from fiction books—drama, right? Why WWII? I think, as a Russian, I inherited the horror and memory of that time. It’s in my blood. Besides, in the Soviet Union, preservation of the memory about the heroism of its people was a part of the broad propaganda. I, though, would call it nurturing patriotism and am thankful that the official policy of the state was to instill in the youth the feeling of respect and appreciation for what the prior generation sacrificed to preserve our life as an independent nation. There is another reason for me to write about the Great Patriotic War: Thanks to The Nightingale, Lilac Girls, The Indigo Rebels, and other brilliant books, the stories of European women in their fight against the occupation of their countries has become broadly familiar. I believe ordinary Russian women who had to endure four years of Nazi invasion deserve the same. 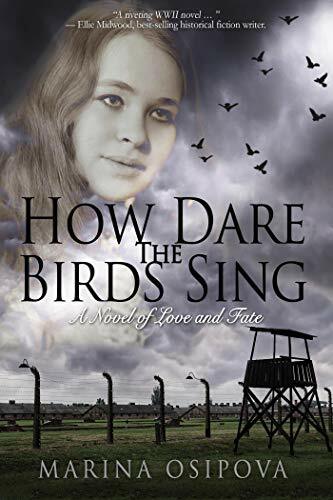 Telling stories of unsung heroines is my humble tribute to the women who worked on the home front producing armaments, like Serafima from The Cruel Romance, or who were fighters on the front or partisans, like my heroine Lyuba from How Dare the Birds Sing who, after being captured by Germans, was subjected to slavery in the Nazi labor camp as hundreds of thousands of others were. 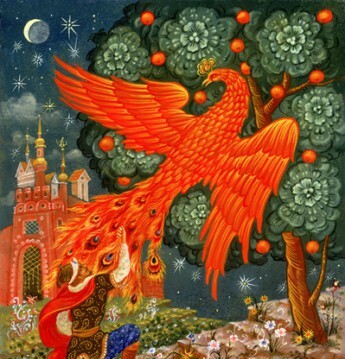 As a writer of Russian origin, you are no doubt influenced by the extraordinary literary heritage of your native country—how would you characterise that influence in your own work? The influence was and is enormous. Starting with Alexandr Pushkin, Leo Tolstoy, and Fyodor Dostoevsky, Aleksandr Ostrovsky and Ivan Turgenev, Anton Chekhov and Maxim Gorki and the writers who wrote about the Great Patriotic War, like Aleksandr Solzhenitsyn, Vasily Grossman, Lev Kopelev, Konstantin Simonov, Yuri Bondarev, to name a few, all of whom shaped (and continue shaping) me as a writer with their brilliant ability to look beyond the time and human psyche. You have also lived around the world, both as you were growing up, and as an adult–how do you feel that cosmopolitan experience has influenced your work? This is another highly interesting question of yours, Sophie. Living abroad gave me not only the factual knowledge and experience of different cultures and political systems but also the feeling of how much unites us—the same everyday problems, the same sources of joy and love. But most importantly what influences my work is that I can feel for both protagonists and antagonists in my stories. As one reviewer of The Cruel Romance said, “There are no good liberators or bad invaders—there are good and bad people.” This is my credo as a writer—no prejudices. Did you always want to be a writer, even as a child? And how did you get started on your writing career? To be a writer? No, as a child I wanted to be a doctor, maybe because my dolls didn’t object to my sticking them with needles; then a fisherman (that is a fisherwoman)—I lived with my parents on the Volga River then—later, an operetta singer-dancer (without having any ear for music at all although I endured three years in a music school); then my small child’s interest in learning German and the love of this language overwhelmed all my other numerous interests and I decided my future profession must be related to anything that would involve the German language. And it did until I immigrated to the United States in 2001. That’s when I started writing (first, some flash fiction). My English language teacher, who I fed a story to every week, was impressed and suggested I “must publish” them. I published my first book in 2016. You have won many awards for your writing–can you tell us more about them? Yes, to my delight, my first submissions to literary contests, most of them to Romance Writers of America, were well received. Every one of them, big or small, are dear to my author’s heart. The list of them can be found on my website, www.marina-osipova.com. But I’d like to tell you briefly about one in particular. It was my very first manuscript, which title had undergone several transformations from Margarita and her Master to Ark of Hypocrites to Garden of Weeds. I sent it to Pacific Northwest Writers Association literary contest and, surprisingly, happened to find myself among the finalists in the mainstream category. At the conference in Seattle, in the huge hall during the announcement of the winners, the chair asked the finalist to rise to their feet one category after another. Mine was the very last. Eight finalists stood up. The chair congratulated us and offered us our seats again but immediately changed her mind. “Wait, get up again.” We stood up. “All men and only one woman among the finalists!” I remember she sounded incredulous. When my category came up, I held my breath. Then, “And the first-place award goes to Marina Osipova.” Later, another finalist told me I exclaimed loudly. What’s coming next? What new projects are you working on? There are so many stories I want to tell! After my WIP, which is the sequel to How Dare the Birds Sing with the working title, I’ve Got to Know Who I Am, there will be a third book, and I already have a clear idea about another story outside of the series. Thank you, Sophie, for inviting me to participate in your interview. A big honor for me. I can’t help but express my admiration of you as a brilliant writer and a wonderful person who helps other writers achieve their goal—to be a good author. Congratulations on your astounding and well-deserved achievement, the Order of Australia for services to literature.